Material Alloy Based on Horizon's highly successful Pathfinder range of vee-nose punts, The Pathfinder SP offers those extra features you want. 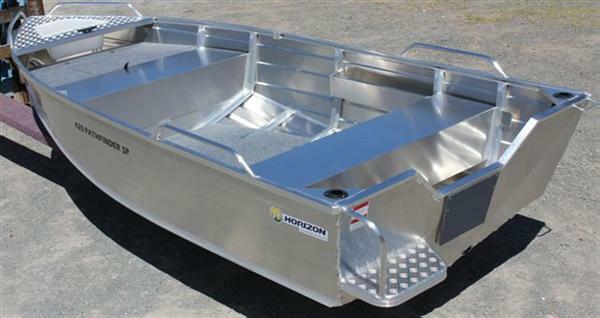 Included are: 3mm bottoms, carpeted low floor, front casting deck, full width fuel tank rack, bow rails. The Pathfinder SP becomes a very economical fishing & recreational boat.